The internet promises both greater freedom and greater repression. It gives a chance of increased expression to millions of people whose views and voices have been and could still be silenced by politically repressive regimes or monopolistic media. But, it can also give those same repressive governments and media empires control so that they can erase contrary views. Recent events suggest that currently the push for greater control is winning, sometimes abetted by major tech companies. Contributors to this Cornerstone Forum series were asked to consider both the historical significance of recent developments in Ukraine, but also the practical implications for religious communities of the latest developments. What is the role religious communities can play in seeking to bring an end to the conflict and secure fundamental rights and freedoms, including religious freedom within a healthy denominationalism? What steps should policy makers take to promote peace and advance fundamental rights and freedoms for all in Ukraine. Twenty years ago, the 105th Congress passed the landscape-changing International Religious Freedom Act of 1998 (IRFA). The Law established within the State Department an Office of International Religious Freedom, created the position of Ambassador at Large for International Religious Freedom as the principal diplomat to advance religious freedom in U.S. foreign policy, and established the U.S. Commission on International Religious Freedom. Today, the mechanisms created by that bill continue to shape U.S. foreign policy objectives promoting religious freedom for all people in all nations. On November 9th, over 250 scholars and advocates of religious freedom, some of whom have suffered persecution for their faith, gathered in Washington, D.C. for a day-long conference to commemorate the 20th anniversary of IRFA. Religious freedom advocates face this predicament: We fervently believe that our cause fosters justice and human dignity yet find that these qualities alone do little to persuade officials in the State Department, Defense Department, National Security Council, or the White House to make promoting religious freedom a high priority. In Washington, only the national interest talks. Well, a formidable case that religious freedom affects our interests now emerges in a book by political scientist Nilay Saiya, Weapon of Peace: How Religious Liberty Combats Terrorism, published this year by Cambridge University Press. (Full disclosure: I was the adviser of Saiya’s doctoral dissertation, on which the book is based). Saiya’s thesis is simple: when governments violate the religious freedom of their citizens, they foment religious terrorism. Rev. Cheryl Mitchell Gaines, J.D., M.Div. Can a Religious School Still Be Religious? A religious school strives to pass on its faith through the spiritual and educational formation of children. Religious schools in the United States are privately-funded alternatives to public schools and aim to inculcate the values of their religion. It should be no surprise that in many of these schools, staff and students are expected to reflect those values in belief and behavior. On February 12, the Religious Freedom Institute (RFI) and The Bruderhof co-sponsored a multi-part forum commemorating the atrocity and the testimony of immeasurable courage and faithfulness it occasioned. The event included a lengthy discussion between Mosebach and RFI Executive Director Kent Hill about his 2018 book, The 21: A Journey into the Land of Coptic Martyrs. A series of speakers and a panel discussion followed, each unpacking the broader social, political, and moral implications of what ISIS did, how these 21 young men responded, and the need for advancing religious freedom in the Middle East and around the world. In a special 10-part series on Cornerstone Forum, Daniel Philpott will be previewing key arguments of his new book that aim to address the future of religious freedom in the Muslim world. The Religious Freedom Institute (RFI) held an Open House Wednesday to mark the relocation of its Washington, D.C. office to Capitol Hill at 316 Pennsylvania Ave, SE, Suite 501. The occasion gathered RFI leadership and staff with 200 friends and colleagues from government, business, media, higher education, and the NGO community. On October 16, Malaysian Member of Parliament, P. Kasthuriraani urged Malaysia to sign and ratify the United Nations Declaration on the Elimination of All Forms of Intolerance and of Discrimination Based on Religion or Belief. Just as we seek to advance religious freedom with our diplomacy in places where government coercion of religious communities is triggering a humanitarian disaster and a grave strategic danger to our national interests, so too must we recognize the danger of government coercion within our own society. We must not forget that America was founded on religious liberty. Our founders firmly believed that without it, our great experiment in democracy would fail. That is because the first freedom was, and is, a protection for all of us. Not just for Christians, Jews, or Muslims, and not just for religious people. Religious freedom benefits America. If we are not free to believe and to live our lives in accord with our deepest convictions about ultimate truth, then the consequences go far beyond the fate of any one religious group or any one nation. Without religious freedom in full for everyone, none of us can be truly free. 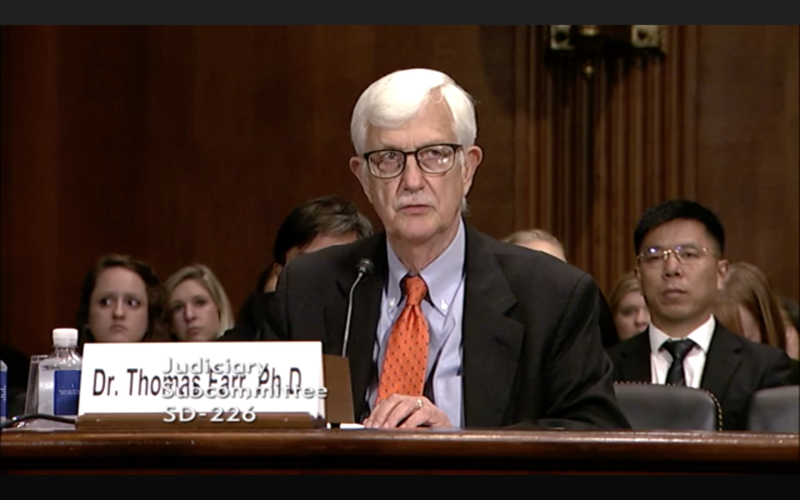 As Dr. Farr makes clear in his testimony, the situation is dire for China’s Muslim Uighers, Tibetan Budhhists, and Christians both Catholic and Protestant. Xi’s policy presents a major challenge to U.S. international religious freedom policy, which has to date had little impact in China. It is time to try a different approach. Cornerstone Forum: Debating Europe's "Burqa Bans"
Six countries in Europe have now passed nationwide or partial bans on face-veils, and others have legislation pending for additional bans. Speaking critically of either the bans or the Muslim practice of veiling engenders a firestorm of debate, as former Mayor of London and Secretary of State for Foreign and Commonwealth Affairs Boris Johnson did with an article in the Telegraph denouncing the ban in Denmark, while also bluntly criticizing in demeaning fashion the practice of covering the face. Women riding in Copenhagen, Denmark. Photo: Flickr/Cycle Chic Copenhagen_55. The response to the controversy has largely focused on questions of free speech, with the Equality and Human Rights Commission (EHRC) labeling the remarks as “inflammatory and divisive” but not within its jurisdiction to prosecute. In this series on Cornerstone Forum, we asked scholars to examine what the implications are of religious freedom for protecting the right to public expressions of faith, even those expressions which may seem to resist cultural assimilation. The target of the new law is the burqa and niqab but, already the Danish People’s Party have turned their attention to the head scarf, launching a new poster campaign that tells women to “throw of the headscarf and become part of Denmark.” Given the rise in religious apathy and intolerance towards religion generally, who knows what will come next; tomorrow the cross or the yarmulke could be the next target. This is why it is important now, more than ever, for all freedom-loving people to come together, to stand together and oppose this unnecessary, counterproductive and hypocritical law. Securitization is not simply state prevention of foreign political violence. It is also increasingly aimed at Islamic religious practices like the burqa which are interpreted as signs of political radicalism. One of the unexpected consequences of such a situation has been to grant governments greater means to control religions in general. As such, it is a very serious threat to religious freedom and democracy across Europe. Xinjiang Province of Western China represent a harrowing example of how government fears, in this case of separatism, terrorism, and religious extremism, can lead to disastrous religious restrictions justified as security measures but which ultimately act to the detriment of both the state and its citizens. Nearly one year ago, on August 25, 2017, a wave of violence was unleashed against Muslim Rohingya in Rakhine State, Burma. Thousands were killed in brutal fashion and more than 700,000 were displaced. In a new report, the Religious Freedom Institute (RFI) considers the facts of what happened in August 2017 and the broader context of religious freedom violations in Burma. The report also puts forward concrete recommendations on what is to be done. The Rohingya Crisis: The Shameful Global Response to Genocide and the Assault on Religious Freedom adds to the mounting documentation of the plight of the Rohingya, an ethnic and religious minority of Burma (Myanmar) and is a call to action. This report should serve as a reminder of the needs of hundreds of thousands of Rohingya who flooded into Bangladesh in the aftermath of the Burmese military attacks in August 2017. While the influx of refugees has largely subsided, the needs of the individuals, families, and communities who survived the crimes against humanity, ethnic cleansing, and genocide perpetrated by the government because of ethnicity and religion still remain. The Rohingya are not alone in their endurance of blatant attacks to their rights to religious freedom. Christians among the Kachin, Chin, and the marginalized Naga communities of Burma face are still facing rights restrictions. They are once again seeing targeted military campaigns, in some cases perpetrated by the very same units who targeted the Rohingya. This report is in response to the unresolved refugee and humanitarian crisis that extends beyond the Rohingya and threatens to be forgotten. The report provides an overview of the historical, ethno-religious, humanitarian, and international dimensions of this particular crisis, and emphasizes that the overwhelming evidence merits the label of genocide and crimes against humanity be applied to the atrocities perpetrated against the Rohingya by the Burmese military and other actors. Regardless of what label is applied, the evidence of atrocities against the Rohingya is overwhelming. In light of such evidence, the Burmese government and international community must ask themselves, are they unaware or unconcerned about the genocide being perpetrated against the Rohingya Muslims of Burma? These violations of religious freedom and acts of genocide against the Rohingya of Burma cannot go unanswered. The international community, individual governments, and faith leaders and their congregants around the world, must not be silent in the face of such a blatant assault on religious freedom and such a violent act of genocide. 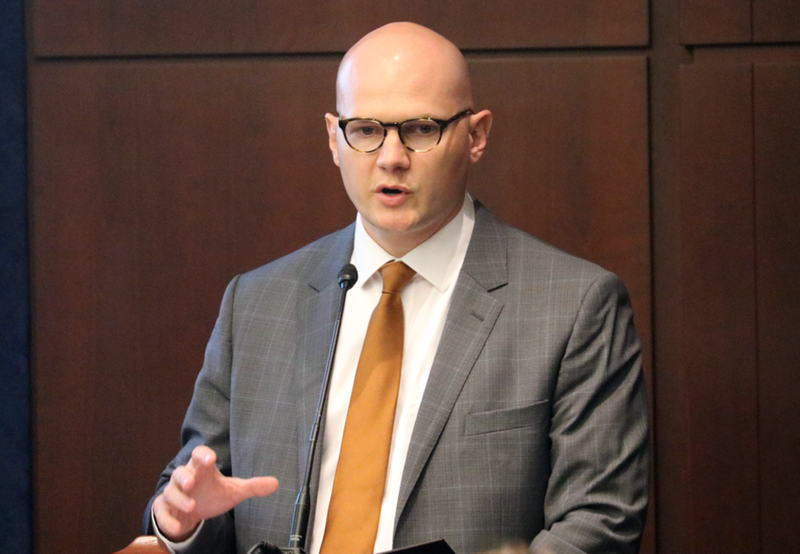 On Thursday July 26, 2018, The Religious Freedom Institute (RFI), Southern Baptist Convention Ethics and Religious Liberty Commission (ERLC), and Boat People SOS co-sponsored “Lessons from Southeast Asia: State and Non-State Threats to Religious Freedom.” The event was RFI’s final side-event held in conjunction with the U.S. Department of State’s Ministerial to Advance Religious Freedom. 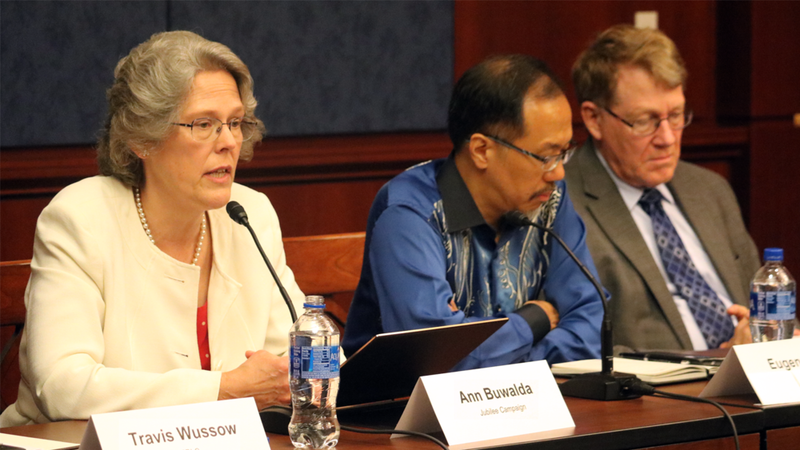 The event featured two panels and a wide range of experts and leaders from Malaysia, Vietnam, and the greater religious freedom policy community. Panelists included USCIRF Commissioner Nadine Maenza, RFI Executive Director Kent Hill, Program Manager at the Institute for Global Engagement Hien Vu, RFI Senior Fellow Paul Marshall, President of Boat People SOS Thang Nguyen, RFI Senior Fellow Eugene Yapp, Jubilee Campaign President Ann Buwalda, and ERLC Vice President for Public Policy and General Counsel Travis Wussow. Each panel drew lessons from the region as well as from the rest of the world. The event premiered a short film titled Malaysia: A Fight for Freedom and Identity produced by ERLC. The film highlighted the difficulties faced by individuals of minority religions in Malaysia due to the current religious registration system that compels citizens to include religion on their identity card. The film was followed by the first panel’s welcome discussion of the role religious registration systems play in restricting religious freedom for religious orders and individuals. Kent Hill opened by emphasizing that insistence on a particular religion or worldview in a country is inherently and empirically unhealthy. Doing so is a threat to one’s own people and one’s neighbors. Ann Buwalda discussed how hudud ordinances (ordinances under Sharia law) are expanding throughout Malaysia, including in predominantly Christian areas. In agreement with his co-panelists, Eugene Yapp explained how the ERLC film rebuts claims that an officially Islamic Malaysia will not be detrimental to Malaysia’s historically pluralistic society. Minority communities have been and are being affected to the detriment to Malaysia’s historically pluralistic society. During the Q&A period, the panel discussed non-Muslim court cases in Malaysia which had been sent to Islamic courts, spoke to the importance of understanding humans as both physical and spiritual beings, and emphasized that an incremental approach to advancing religious freedom is particularly important in non-Western contexts. The second panel focused on the impact of non-state actors in Vietnam and other parts of Southeast Asia. Thang Nguyen spoke on the presence of synergies between the government and non-state actors in Vietnam. He highlighted how governments can use these synergies (including those with state-sanctions religious organizations) to harass religious groups in their country. Hien Vu spoke on Vietnam’s recently passed law on religion. While the law was motivated by a desire to manage religion, the Vietnamese government did accept some input from outside scholars. Through such interactions, the government is becoming more aware of the positive contributions non-state actors like religious groups can make in Vietnamese society. Paul Marshall emphasized that the biggest and most influential non-state actors in the majority of the world are those found in mosques, churches or temples. He stressed that this should not be forgotten. The second panel’s Q&A discussed the banning of certain potentially violent non-state actors in Indonesia, the upcoming Southeast Asia Freedom of Religion or Belief (SEAFoRB) conference in Bangkok, and finding a way to hold influential and potentially dangerous non-state actors accountable to violations of religious freedom. 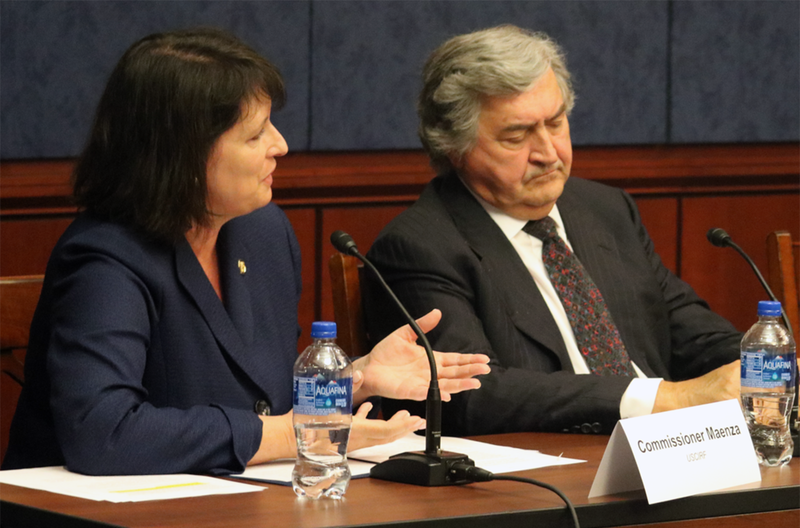 The dual panel discussion was closed with remarks by Senator Cory Gardner of Colorado, Chairman of the Senate Foreign Relations Committee's Subcommittee On East Asia, The Pacific, And International Cybersecurity Policy. The Senator expressed his gratitude to those who make religious freedom a priority, and stressed that if the U.S. cannot stand for religious freedom, then what can we stand for? On the closing day of the ministerial, Secretary of State Mike Pompeo announced that first-ever Ministerial to Advance Religious Freedom would not be the last. This year’s ministerial officially concluded on Thursday July 26, and side events in conjunction with the ministerial ended on Friday July 27.